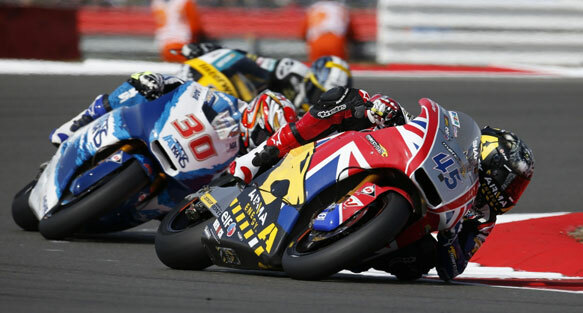 As Jorge Lorenzo and Marc Marquez dug deeper and deeper until they achieved the fastest ever MotoGP laps of Silverstone on Saturday, there was far more on their minds than another watch or five points towards the BMW for the season's best qualifier. It wasn't even about pole for the British Grand Prix. This was a pivotal moment in the 2013 season - Marquez and Lorenzo each desperate to break the other in their ever-more intense psychological war; two of the world's best refusing to give in. The track record was shattered by over 1.3 seconds in a bit of history that everyone who was there appreciated. Marc eventually got the upper hand by just 0.12 seconds over the longest lap of the year. Jorge was shattered to have done the best lap of his 23-year bike racing career and still be beaten. He'd prefer to have been beaten by half a second rather than be pipped. It eats you when it's just a tenth. Then the Sunday morning warm-up caught out Marquez as the early autumn chill of a Northamptonshire morning was still hanging in the air. Dislocating his shoulder at Vale just seconds after Cal Crutchlow had crashed at exactly the same place stunned the paddock into silence for a moment. We all thought that this was the crash we had all anticipated Marquez was going to have in the latter part of the season. Now we had to wait to see if we could ride less than three hours later. As he emerged from the back of the HRC truck half an hour before the start, I went quiet as I processed exactly what we were witnessing. "He's going to win this..." I muttered to myself. Marquez very cleverly did an out-lap from the pits at as full a chat as he dared to see what he felt like with a relocated shoulder, all strapped up and injected. He then came straight into the pits, filled it brim full of fuel again (no refuelling allowed on the grid) then did a slow-ish lap to the startline. He took every possible opportunity for track time and could not have prepared himself any better. However, Lorenzo could not have prepared himself any better either. 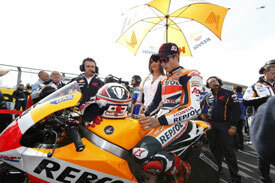 Over the past three grands prix, he was the first bike out on a clear empty track at the start of Q2. It's a very simple solution to not getting a baulked run, but he also used it to train himself to do a fast lap from a standing start on warm but not-quite-hot-enough tyres. That is how he creates an opportunity to keep up with, or run away from, the others in the first two laps - as he did at Brno when he had a second on them. It was that kind of start that kept him in the mix against the two works Hondas, still perceived to be the best bikes on the grid. 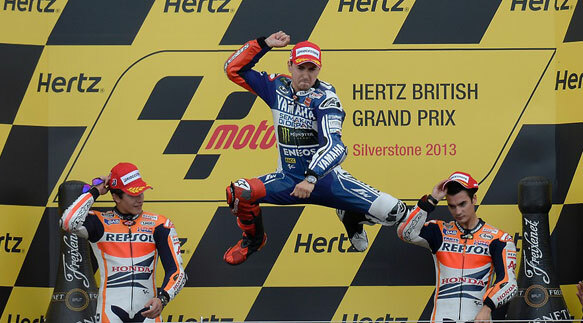 Once the top three in the championship had run away with the race, it was down to 'the invisible man' of 2013 Dani Pedrosa to try and topple Marquez and Lorenzo off the top step. At the front it came down to the last lap. 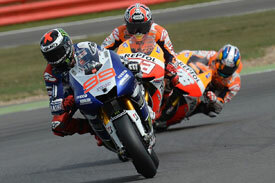 Lorenzo was leading at Vale, Marquez barged past again with two corners to go and then came possibly a defining moment of Lorenzo's career in just 100 metres between Brooklands and the last corner at Luffield. He decided 'sod it' and snuck into the right hander. It was a now or never moment, and not just to get five points back on Marc, or get his win bonus, or to 'win another race'. No, Lorenzo had to do it because he needed to do to Marc what Valentino Rossi had done to him at Barcelona in 2009. Do it. Do it now or never... and he did it and he won. 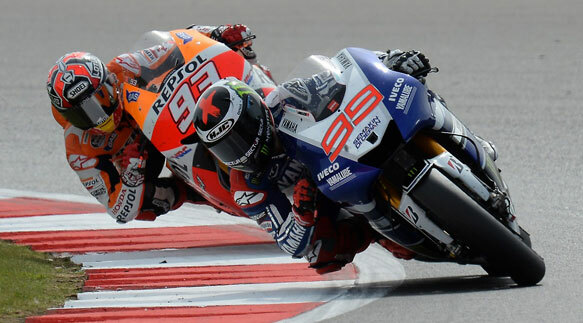 Here's how Lorenzo described it: "One of the best races I've ever had. Marc never gives up, even if he's a little bit injured after the warm-up. "He overtook me three laps from the end so I studied him a little for one lap and I saw he was struggling in some braking so I overtook him on the corner where he crashed. I pushed on the last lap to the maximum, I opened a little gap but I made a mistake in braking and almost crashed. "When he overtook me three corners from the end I thought it was over again and it was second place but then he opened a little gap in the last corner so I thought 'now or never' and I tried and got it." It was a massive win for Lorenzo and for Yamaha as they were beginning to think they were well behind Honda in tech terms. Remember the look on the faces of the Japanese Yamaha management when they were beaten to third just a week before at Brno? What Marquez may well have shown us is what he actually has in hand when fully fit. We saw Rossi win in Australia 2002 when going fully flat out to compensate for a ten second time penalty dished out mid-race and realised the extent to which he had been riding within himself that year. Maybe we've seen a glimpse of what Marquez can really do as he comes so close to a win after dislocating his shoulder three hours earlier. However, what Lorenzo did took that extra risk that sets even the best in the world apart from their equally brilliant peers. That is why this may well be a classic autumn coming up no matter who wins the title. After writing last week that it may be a bit monotonous to see Marquez winning race after race after race, how good is it to see Lorenzo back on winning form and taking the fight to the best we may have ever seen in MotoGP? When the 2013 calendar was announced some people tweeted me complaining about the date and that on September 1 it would rain like hell; that it would be cold and windy at Silverstone. Surely these folk must struggle when wondering if they should put their hand into an open fire? Of course it can rain at any time in Great Britain, just as it can in June at Mugello in 2001, June at Barcelona in 2000, September at Misano in 2007 or in July at Donington Park in 2005. What it can do in September in England's green and pleasant land is be glorious, leaving you with sunburn and panda eyes... as my better half found and I'm sure many others after Sunday! An extra two months of ticket selling time; more of a championship story; a Brit leading Moto2; Crutchlow on pole positions and podiums; the return to the 'original' pits and paddock - it made for a stunning weekend, which I am still smiling about. Weekends like that are what going to grands prix is all about as a spectator. I'll leave you to make your own judgement about Brno and Jerez's reported Sunday spectator numbers, but if you look at the other numbers then Silverstone stands up very well indeed. Hulkenberg: just how good is he?